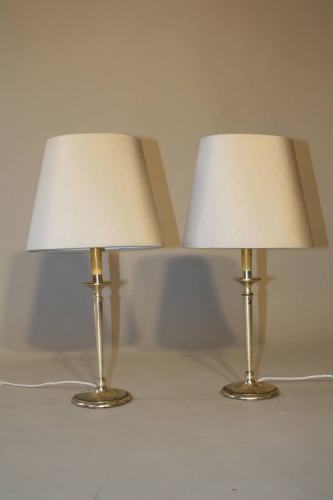 A lovely pair of distressed silver candlestick table lamps wired for electricity. The original shades have been recovered in a silver/gold silk. French c1950. Good elegant design. Rewired and PAT tested for UK use.